Often times we refer to ourselves as “the Landscape Architect’s Irrigation Consultant” and one of our recent projects certainly lives up to that tag line. 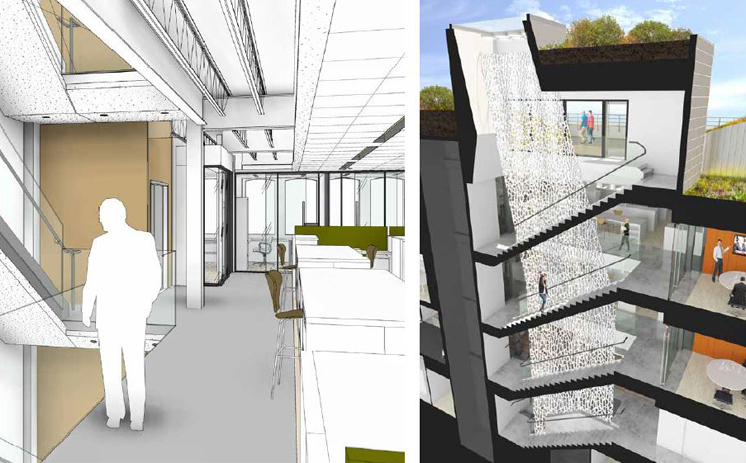 We were pleased to work with the world renowned firms of Oehme van Sweden Landscape Architects and Gensler Architects to complete a project for the ASLA Headquarters in Washington D.C. area as part of their ongoing energy star initiatives. As the consultant to Landscape Architects we designed the irrigation to compliment the designs for their new rooftop garden and corresponding courtyard. Key components to the design involved the incorporation of a complete water harvesting system to collect stormwater from the roofs for complete recycling of the water into the irrigation and weather monitoring to provide optimum water use for the landscape materials. The water harvesting system has multiple flow meters and sensors to monitor not only the stormwater collection volume but also collect data to show the amount of water demanded by the irrigation and any additional make-up water needed. To maximize the water consumption and only use what is needed for the plant material the design incorporates an onsite weather station to measure temperature, humidity, solar radiation, wind and rainfall to calculate the daily ET (evapotranspiration rate). Additionally soil moisture sensors are installed to track soil conditions in key areas within the landscape. The majority of the rooftop irrigation and courtyard utilizes drip irrigation to also reduce overspray, evaporation and deliver water to the roots of the plants. All of the irrigation is then controlled with the Toro Sentinel Control System that provides complete monitoring and control incorporating weather driven updating, moisture sensors and monitoring for all flow conditions. Sentinel Water Management Software (WMS) is a Microsoft® Windows-based program that allows users to control daily irrigation operations and scheduling from a powerful yet easy-to-use platform. With the ability to control up to 999 field satellites from one location, users have a water management tool that provides ultimate customizability and reliability. The headquarters of the American Society of Landscape Architects helped Washington, D.C., rank second on the U.S. Environmental Protection Agency’s (EPA) 2014 list of the top U.S. cities with the most ENERGY STAR certified buildings. ASLA has participated in EPA’s ENERGY STAR certification since 2008, and its headquarters building was ENERGY STAR-certified again in 2013. 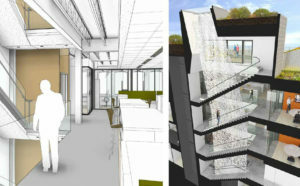 Among buildings the same size, ASLA’s energy performance is in the top 11 percent. 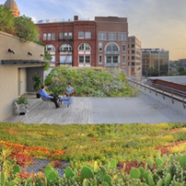 ASLA’s headquarters employs energy-efficient systems and practices-including a green roof that reduces energy usage by 10 percent in winter months. Sustainability is part of the organization’s leadership and staff culture. If you are looking to design a water efficient irrigation system or looking to update an existing area to incorporate new technology we invite you to contact us at Landtech Design. No project is too small or large for our team to tackle. Working with your ideas and designs we can develop a plan to fit your budget and concept requirements.